Please join us however you can in making music therapy, education, and community outreach more accessible to those in need. Donate $, instruments, musical equipment, an item to auction, an in-kind service, sponsor an event, become a sustained community member, donate via online partnered platforms or volunteer! Every little bit helps and can make an impact! Thank you to The Who and Pete Townshend for your gift of the song “Join Together” for our campaign video! Here is the face and inspiration behind the Foundation and now one of our Movers and Shakers! 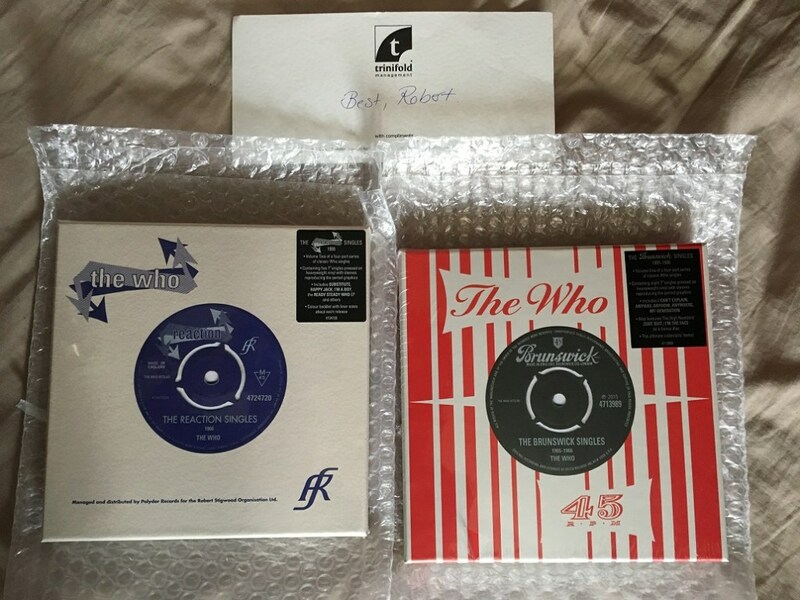 **SILENT AUCTION EARLY BID OFFER** Our friends The Who have graciously donated two limited edition vinyl box sets of their 1960s singles in support of our benefit concert’s silent auction! These are direct from their headquarters in London with loving care! We are offering an early bird bidding offer for our movers and shakers on our Facebook page. All FB bidding will end on April 20th at noon (CST). The auction will resume at our benefit concert in Austin (at the One-2-One bar) at 2pm and end at 4pm. Winner can pay via CC or PayPal. All proceeds go directly to supporting access to music therapy, music education and community outreach! To bid now, go to our FB page MMMF FB to find them listed! Good luck! 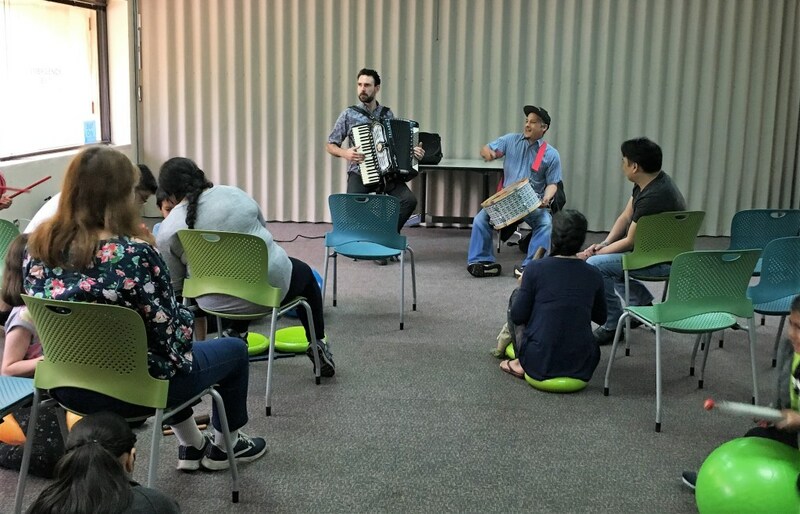 For our last stop in the library series of sensory-friendly concerts this Spring, Michael Longoria and Jan Fleming from Grupo Massa brought some world rhythms and Forro to the Pleasant Hill branch and it was a blast! 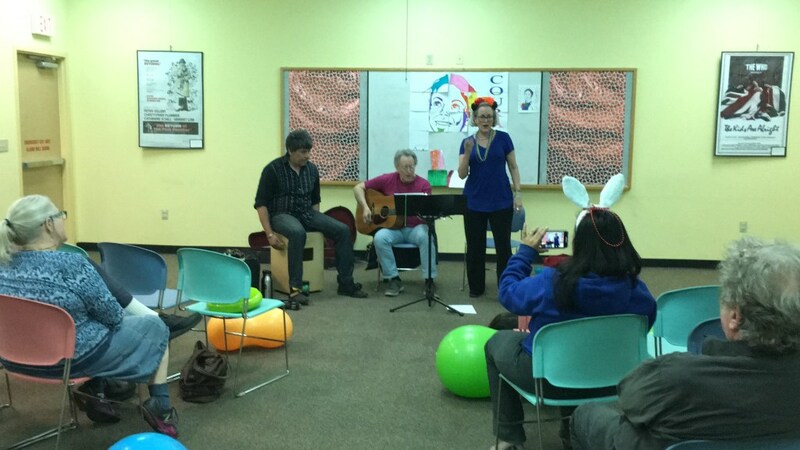 Larry Seaman, Lisa Gamache Rodriguez and Hector Munoz provided the jams at our second stop in our sensory-friendly concert library series! Thank you to Becky Rich-Wulfmeyer at the Yarborough branch for hosting us! Thank you to our musical mercenaries Katie, Jennifer, and Johannes for their beautiful performance today at our first stop in our sensory-friendly concert library series at the Twin Oaks branch in Austin! Much love to our movers and shakers for their recent instrument donations! 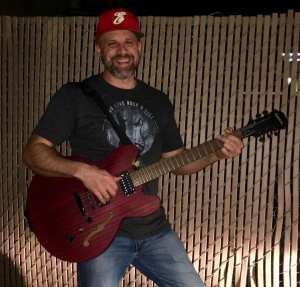 Guitars and gear from Steven Gerlofs and Temple Ray (from the management at the legendary Rupert Neve Designs) are being used to help our veterans at the VA in Temple, TX (with music therapist Abraham Ludwig) and to help underserved kiddos rock out through our Play It Forward initiative! Yay! As we celebrate our sixth year operating as a 501 (c) (3) non-profit organization, we want to thank all of you who have helped in the journey of making music therapy, education, and community outreach available to those in need. We’ve garnered support from all over the globe including the use of the song “Join Together” from The Who/Pete Townshend for our campaign video, donations from Lou Adler and the Monterey International Pop Festival Foundation, partnerships with The Joe Strummer Foundation, Martina McBride’s Team Music is Love, ACM@UCO, Band Aid School of Music, Sonder Music and SixTwelve, and received auction items from rock’n’roll icons Bob Gruen, Leon Russell and Eric Burdon. 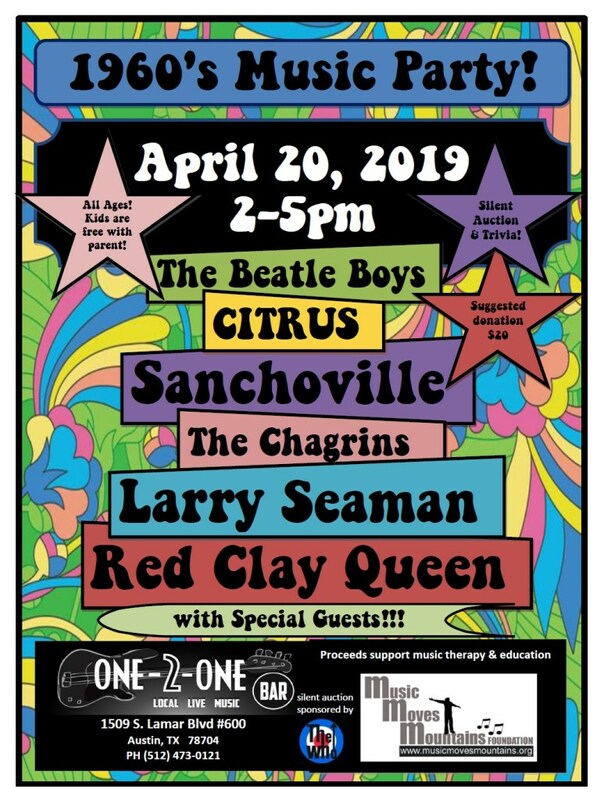 We’ve hosted nine benefit concerts in Austin and Oklahoma City at partnered venues the One-2-One Bar, Antone’s, the Continental Club, and the Blue Door featuring some of the most incredibly talented and loving local musicians. We have received support from local businesses and artists such as the Brain Music Center of Austin, Strait Music Co., Antone’s Records, Waterloo Records, End of an Ear Records, ACL Live at Moody Theatre, Old Settler’s Music Festival, Austin Land & Cattle, Mustang Brewery, Earl’s Rib Palace, Alamo Drafthouse, Hotel St. Cecilia, Forward Foods, Amy’s Ice Cream, Crimson & Cream, Ralston Services, Dangerbird Management, Kelly D Tees, Jesse Sublett, Tim Kerr, Keisha Register, Dave Mead, Judi Newberry, Matt Hildebrand and Chris Green as well as media sponsorships from the Austin Chronicle and This Land Press. Together, we have donated over $8,000 worth of instruments and gear to individuals, schools, therapists, special needs educators, and organizations. We have raised over $4,000 for music scholarships and mentorships for the underserved and special populations. We have hosted sensory-friendly concerts and workshops, music therapy awareness events, adaptive music education classes, and brought live musical performances to memory care facilities and homeless shelters. And this past year, we came together during disaster to help our music communities in Southeast Texas recover from Hurricane Harvey. We could not have done any of this without the continued support of donors, sponsors, Board members, and volunteers! You are true movers and shakers! So as we continue in our mission to fill the gaps where music therapy, education and outreach is needed, we ask for your continued support. If you are a believer in the healing powers of music and its social mobilization in our community, please join us however you can by attending an event, donating funds, becoming a sponsor or a partner, offering in-kind support, giving via online partnered platforms, becoming a volunteer, or simply by helping spread our message and becoming an advocate. Let’s go move some more mountains! When the Foundation launched in 2012, we reached out to The Who for support in our campaign video for the use of their song “Join Together” as our anthem, and they did not hesitate to donate the rights and get behind us. 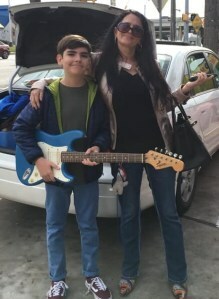 This song was chosen by my son, who is the inspiration behind the Foundation and is an obsessive fan of The Who. It all came full circle when we had the chance to meet them and thank them personally – and then get to sing the very song “Join Together” with thousands of people at their concert. The guys were very gracious knowing my son’s challenges and focused on his ability by inviting him onstage to play during sound check (which they allowed due to his sensory issues and anxiety in case he couldn’t make it through the concert). The band, their management and staff understand the power of music and were very supportive in giving him this opportunity. It was a moving experience we’ll never forget and it gives us continued inspiration to keep pushing towards our goal to help others. In February of 2017, Hudson finally had the opportunity to play a Who song with a dream band for the first time! WHAT IS THE MUSIC MOVES MOUNTAINS FOUNDATION? MOTTO: The power of music can change lives. Let’s use it to help those in need by giving hope, health, and happiness through the healing art of music. MISSION STATEMENT: Music Moves Mountains Foundation is a perpetual series of projects, programs, and services utilizing the scientifically-proven powers of music to change and improve the quality of lives. The Foundation is established as a 501 (c) (3) non-profit organization that uses tax-deductible donations to facilitate these efforts. Our goal is to offer better access to those in need of music therapy, education, and community outreach. WE SERVE: Children, adults, and seniors suffering mental, emotional, or physical illnesses, developmental disabilities or disorders, depression or loss, trauma or stress, as well as underserved and at-risk communities and schools. We also offer opportunities to partner with musicians, music educators, music therapists, and other organizations. “Feeding The Soul” – A series of musical performances and engagement at hospitals, nursing homes, memory care, VA Centers, rehabilitative centers, hospice care, homeless shelters, etc. REACH: Based in Central Oklahoma and Texas, the Foundation will begin regionally, but hopes to maximize access and growth nationally with the support of patrons, sponsors, and giving-institutions. Priority will be given to underserved/special needs individuals and communities based on availability of funds.